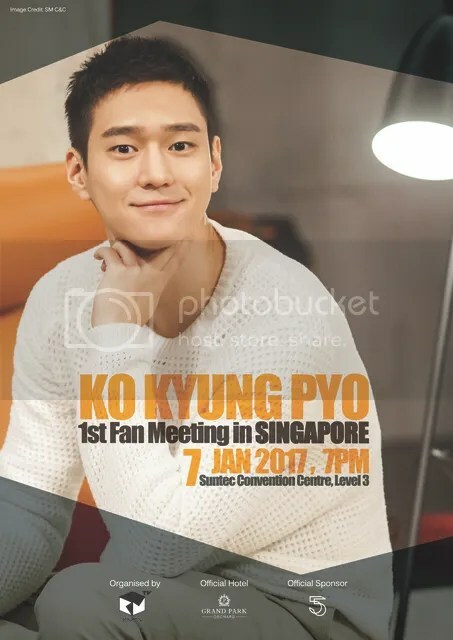 Known for his role as the only heir to a large corporation that manages several clothing brands in Jealousy Incarnate, Korean actor – Ko Kyung Pyo will be visiting Singapore next month! The actor will be holding his first fan meeting at Suntec Convention Centre, where only 150 fans will get the chance to get up-close and personal with the actor himself. Fans attending the event can expect to receive a hi-touch and group photo with Ko Kyung Pyo at the end of the event. 20 lucky fans will be handpicked by the actor for a selfie and on top of that, a signed poster! If you are unable to attend the fan meet, head down to 5:5’s showroom which is located at Suntec City Mall on January 7 at 4.20pm! Get your tickets now at Asia Box Office, you might be lucky fan who will get picked to take a selfie with the rising star!